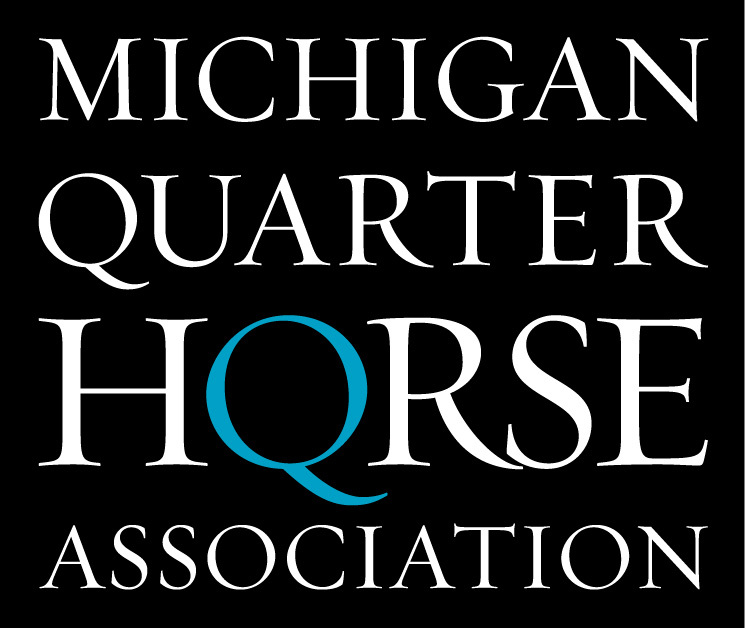 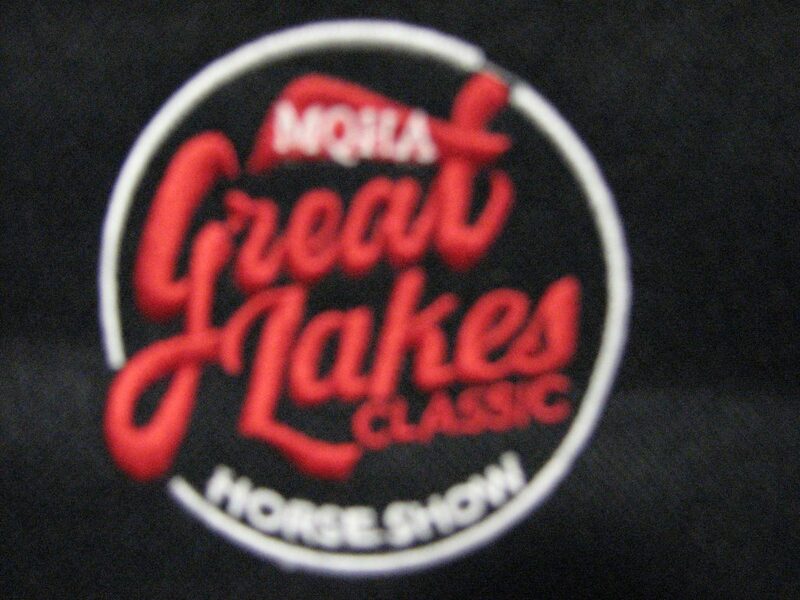 Please contact Chris Frantz to order Michigan Quarter Horse Logo apparel. 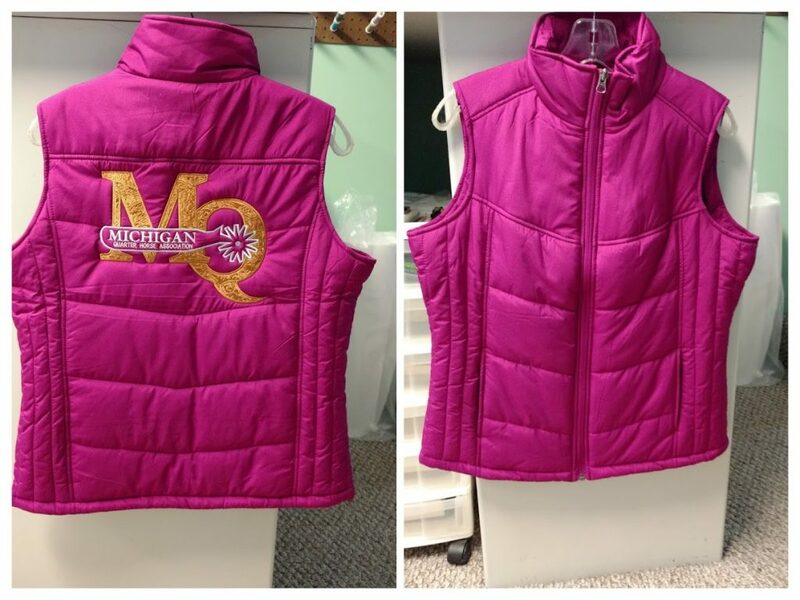 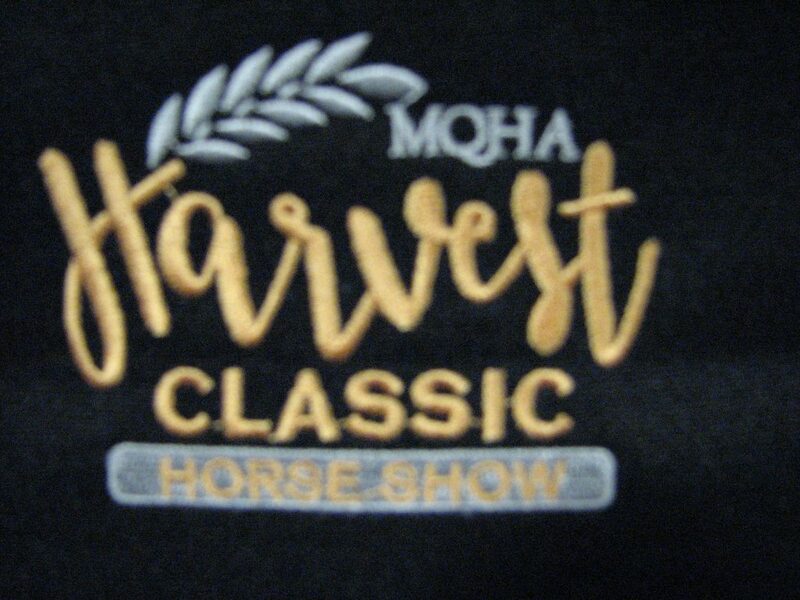 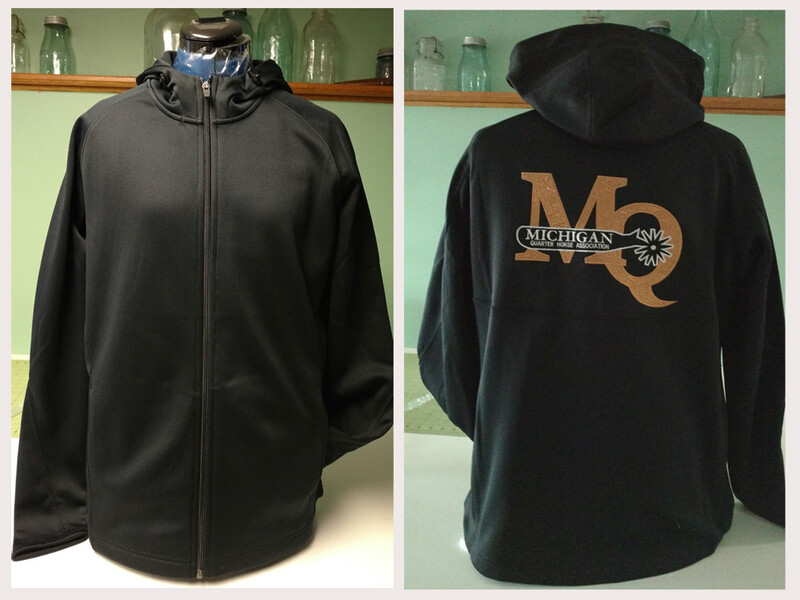 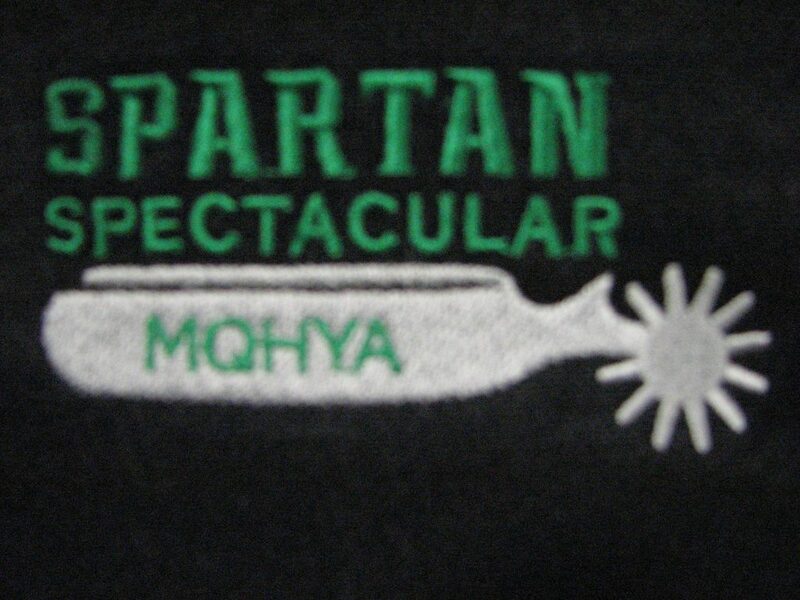 Here are a couple of the many items available in a variety of colors that can be embroidered with either the MQ Spur logo or any of the other MQHA event logos. 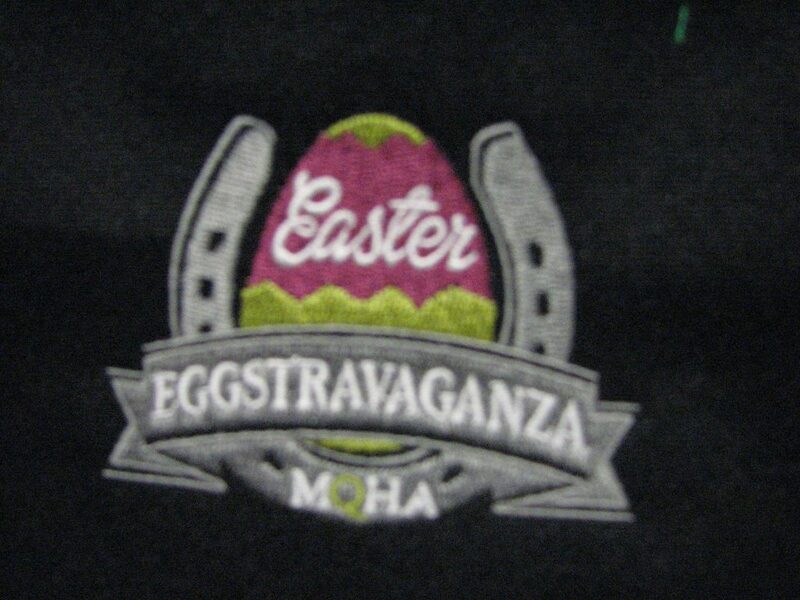 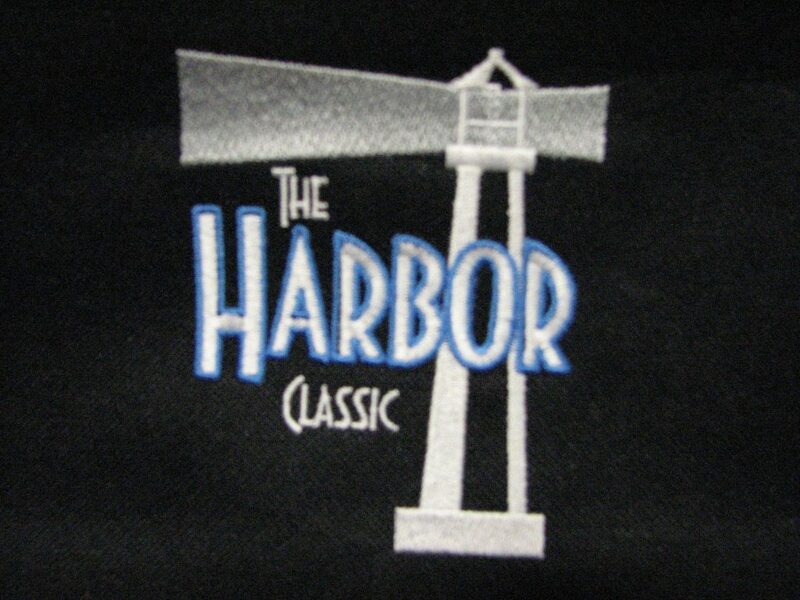 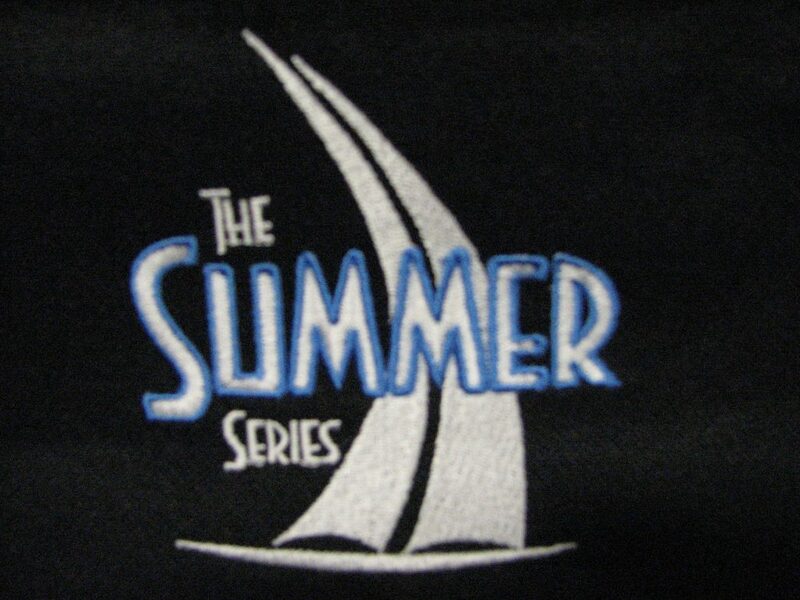 You can choose an event logo from the gallery below to be added to your apparel.